Soil testing is conducted to determine the type of soil in the immediate vicinity of the proposed structure or in a septic disposal location. The primary cause of foundation movement depends on the reactivity of the soils in that region. 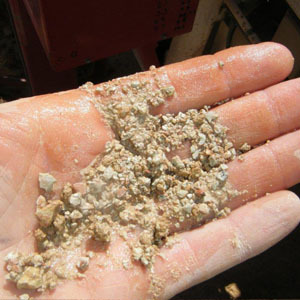 Reactive or expansive soils create movement dependant on their moisture content, clay composition, particle size and the mineral composition of the soil. To enable footings to be designed appropriately, the soil type must be determined in the initial planning stages. The particular soil type determines what type of footings and slab are required and the structural specifications. "The design of a slab to cope with ground movement relies on the provision of sufficient overall strength and stiffness" (AS2870). Our dedicated engineers understand your local region and are extremely capable to design a footing system that best responds to the soil type determined. 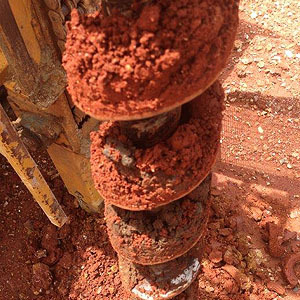 Soil testing involves taking core samples usually 2m deep, diameter 100mm from the identified location. 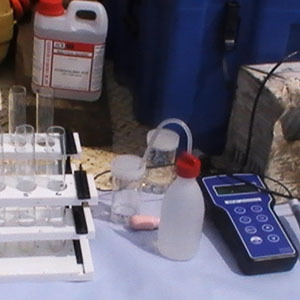 Some soil testing is conducted on site, and further comprehensive testing and analysis is undertaken in the laboratory. A detailed Site Classification Report is issued to the client specifying the Soil Type, Site Description, Soil Profile, Laboratory Results, Site Classification, Spot Levels, Site Plans and Site Photographs & Permeability Test (if applicable). To have your soil tested, please contact the McKEE Consulting team via email info@mckee.com.au or call our office 0400 778 050.